On May 12 1916, a fatally wounded James Connolly was brought by military ambulance to Kilmainham Jail and was later that day carried by stretcher to the courtyard of the prison. Unable to stand to face a firing squad after a bullet had shattered his ankle during the fighting of Easter week, he was strapped to a chair and shot. Connolly was one of the last of the leaders of the Easter rising to be executed (Roger Casement was executed a number of months later). The circumstances surrounding his execution helped fuel the mounting public anger in Ireland against the brutal callousness displayed by the British government in the aftermath of the rising. When the southern capitalist state was founded in 1922, its ruling class was forced to conceal its contempt for Connolly. Along with the six other signatories of the 1916 proclamation, he was elevated to the status of a national hero. In the decades following independence, his name would be given to schools, hospitals and one of Dublin’s central train stations. Many political figures and parties would unashamedly seek to claim his mantle. But they sought to ignore his role as an outstanding workers’ leader who founded the Irish Citizens’ Army (ICA) in order to protect the working class of Dublin from the brutal repression meted out by the police at the behest of the city’s capitalist class during the 1913 lockout. Crucially they sought to disregard his development of a socialist analysis of the national question, where he argued that the struggle for national liberation in Ireland was bound up with the need for socialist change. This analysis was developed upon his arrival in Ireland in 1896 in various articles in his paper, The Workers’ Republic, and in his excellent pamphlet, Erin’s Hope written in 1897. 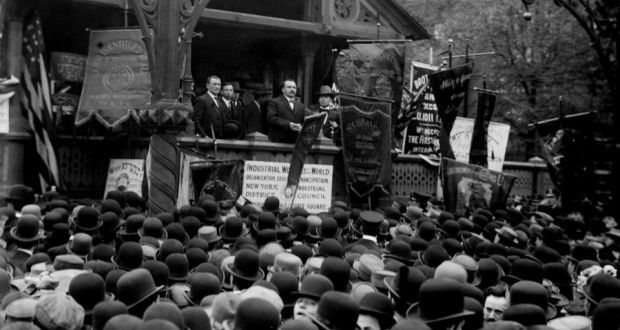 In 1910, Connolly wrote his key work, Labour in Irish History, in which he elaborated his view about the role that working people had to and would play in the struggle against British rule. He contrasted it with the baleful and treacherous part played by Ireland’s propertied classes and the middle class leaders of various national movements against British imperialism in the 18th and 19th century. Ultimately, Ireland’s capitalist class was unwilling to play to a revolutionary role in the struggle to free Ireland. Their conservatism flowed from the fact that as a class they were economically and politically subservient to British imperialism and consequently were fearful that such a struggle would threaten their economic interests. This subservience lead them to consistently betray rebellions against colonialism in Ireland. As a leader of the United Irishmen, Henry Joy McCracken, observed in the aftermath of the 1798 rebellion: “The rich always betray the poor”. “After Ireland is free, says the patriot who won’t touch Socialism, we will protect all classes, and if you won’t pay your rent you will be evicted same as now. But the evicting party, under command of the sheriff, will wear green uniforms and the Harp without the Crown, and the warrant turning you out on the roadside will be stamped with the arms of the Irish Republic. It was for this reason that he argued for and championed the concept of a “Socialist Republic” as the only basis on which the needs of the working class could be fulfilled and a decent life could be provided for all. 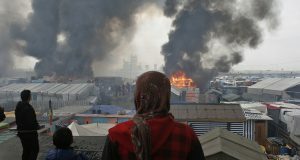 The history of the Magdalene laundries, industrial schools, mass unemployment and emigration, the enormous dominance of the Catholic Church over the state since its foundation, are all illustrative of the failure of capitalist independence and of the deeply backward nature of Irish capitalism. 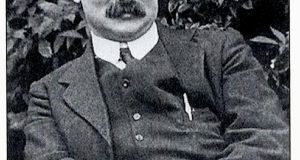 It was a tragedy that when participating in the Easter rising, Connolly did not put forward a separate socialist programme on behalf of the ICA that outlined his vision of a socialist Ireland – to explain to a broader audience, as he had done on some many occasions, why revolutionary change needed to be both political and economic. Not doing so allowed figures like Eamon De Valera – whose ideas were an anathema to him – to later claim his legacy. The salient lesson to be drawn from Connolly’s writings today, one that the ruling class in this country would like us to overlook, is that real change means socialist change. 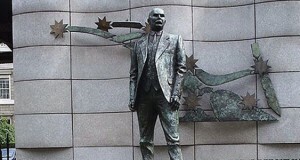 The challenge, for those of us inspired by Connolly’s life, is to help to bring this change into existence. Connolly’s writings on the First World War were searing in their denouncement of a war between Europe’s capitalist states over who would gain control of the world market and the colonies of Africa and Asia.